Buying a used caravan can be a daunting undertaking. In this blog, we take you through some tips on buying a used tourer – helping you make the right choices. You don’t need to spend a huge amount of cash to buy a used caravan. Although a larger budget may buy you more mod cons, and a newer model, you can still pick up a real gem. Once you have determined your budget, you can then begin your search. If you go looking towards the back end of the season – September onwards – dealers will be keen to do deals and trade-ins against newer models will be more frequent. In particular, buying a used caravan in the depths of winter can produce a good result. If you leave it till the spring, prices will start to firm up as demand for used tourers rises. Family tourers tend to cost a bit more, particularly fixed-bunk models. Fixed-bed models (around since 1999) also command good prices due to their popularity, especially with couples. Twin axles manage to keep their prices too so you will need to look at £10,000 plus for newer fixed-bed, end-washroom layouts. Buying from a private seller can have provide major savings over a dealership. But with no warranty or check of components when you part with your hard earned cash, you take your chances. As the saying goes – buyer beware! Dealers will offer a warranty in most cases plus give you some back-up service. A dealer may also have a tie up with finance and insurance companies so can offer these services too. It can be very personal service from some dealerships, where the owner/salesman deals with you from the start right to hitching up your van and doing the run through with you. Large dealerships usually invest in new workshops and accessory stores too. You need to be able to pay for your purchase before you take it away and also you only have a few hours to view your caravan that you’re bidding on. This means you’re under pressure to find out as much about the caravan as possible. Has the caravan been serviced lately? If so can you check out the damp report and appliance checks too? Has the seller got proof of servicing schedules? If not then chances are the van won’t have seen inside a service bay for some time. Ask the seller if they have had any problems with the van and if they have all been rectified – they should be able to supply receipts and proof of purchase. Check that the caravan is the age it’s being sold as, some private sellers can tell you the van is newer than it actually is but check the serial number / CRIS number etched on the windows. If plates are missing, be suspicious. Check the chassis for signs of any problems such as the damper on the coupling – push it in to check for damping – it should be hard to push back. Also check grab handles are all firm and not broken. 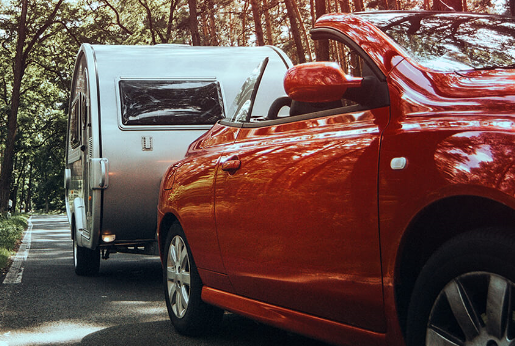 Check tyres – caravans don’t usually wear the tread in the same way that a motorhome would, but look for visual signs of side wall cracking – tyres should be replaced every four years. Check all the electrics and appliances are in full working order, make sure the charger is still charging. Also check road lights are working, plus windows are not cracked or broken. Look for visible signs of replaced panels (new sealant) also look out for delaminated sides – these have a buckled effect as you look down the sides of the van. Delaminating sides can hint at a major damp problem, walk away in this case. Check handbrake for brake adjustment while all corner steadies should be well greased for easy operation. Also make sure the water pumps are working and the cassette loo – and that it’s not been left un-emptied! Interiors can also be good at telling you how the van has been used – check for damaged upholstery, split or stained bed mattresses and if they have been repaired. Examine the floor and walk up and down on it a few times – does it feel spongy? If so, the floor needs repairing. Do all the cupboards and lockers close and look for tell-tale signs of damp by ceilings and windows, check the black window seals too. Make sure the hot water system works along with the room heater. Look for stained carpets, damaged shower trays and anything that’s not in place. If everything looks good, you have found your used tourer! Lastly, before you tow away your used caravan, make sure you have insurance in place. With last year’s acquisition of Look Insurance Services, A-Plan has only strengthened its expertise and experience in insuring caravans.